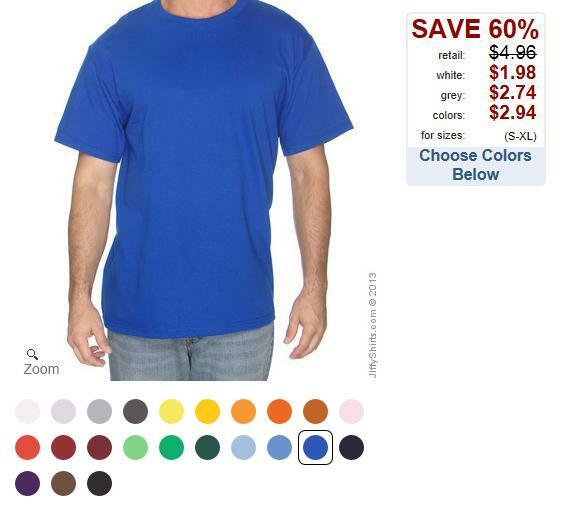 If you are looking for some simple T-shirts at a good price, check out Jiffy Shirts. They have a variety of shirts to choose from. Until January 5th, shipping is free on orders over $59, and only $5.95 if the order is less than $59.